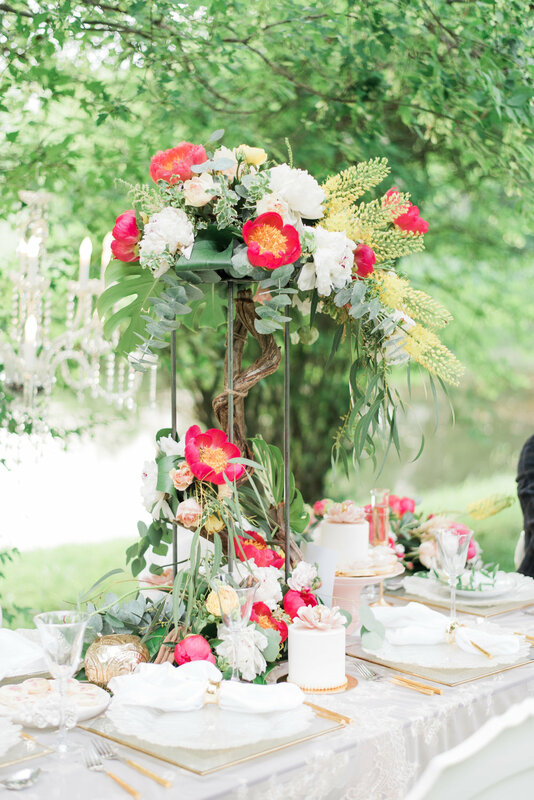 Today we are feeling the upcoming fresh springtime with this colorful estate wedding inspiration from Raven Luxury Events Inc. captured by Lula King Photo and Film. 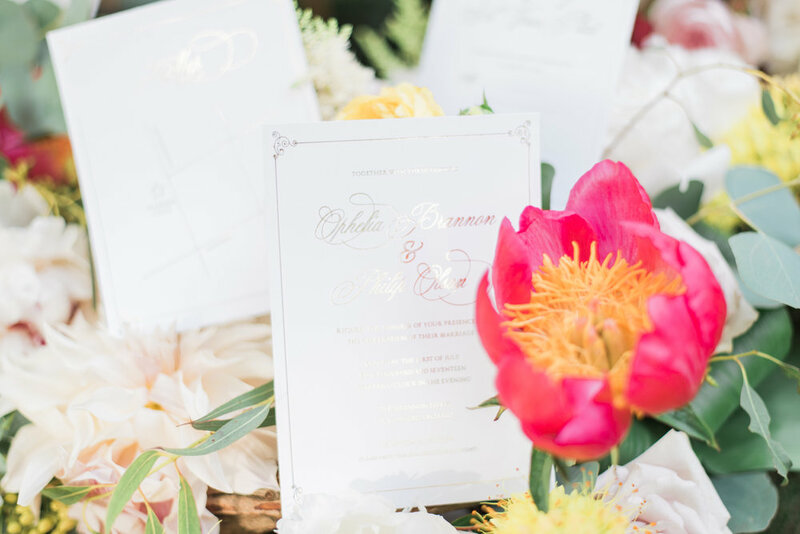 The vibrant pink and yellow color scheme is perfect for any spring or summer event. 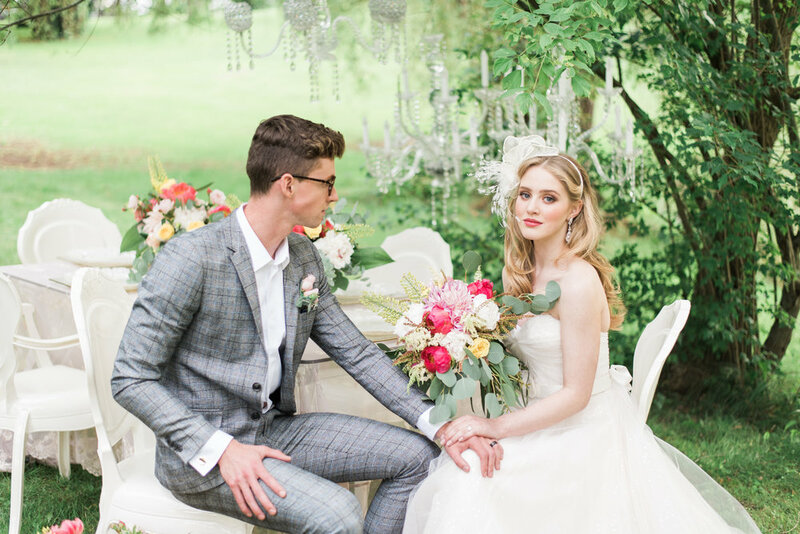 Though the colors are bright, the styling evokes a effortless romance that finds it’s perfect home pond-side under beautiful trees on the estate. 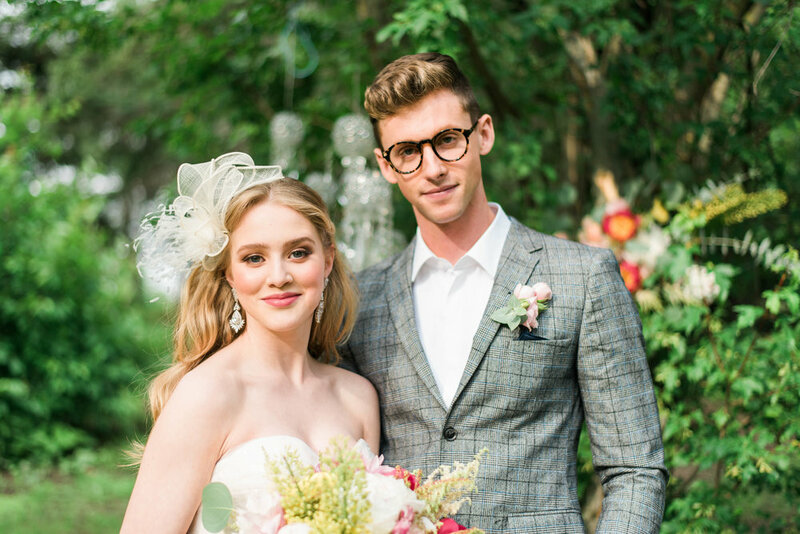 We absolutely love the dreamy lace linens that add the perfect vintage touch! And of course no romantic fete is complete without a canoe ride for two!